Cambridge University Press, 9781107022744, 410pp. 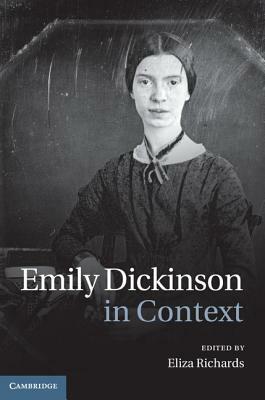 Long untouched by contemporary events, ideas, and environments, Emily Dickinson's writings have been the subject of intense historical research in recent years. This volume of thirty-three essays by leading scholars offers a comprehensive introduction to the contexts most important for the study of Dickinson's writings. While providing an overview of their topic, the essays also present groundbreaking research and original arguments, treating the poet's local environments; literary influences; social, cultural, political, and intellectual contexts; and reception. A resource for scholars and students of American literature and poetry in English, the collection is an indispensable contribution to the study not only of Dickinson's writings but also of the contexts for poetic production and circulation more generally in the nineteenth-century United States.